Discovery: Honk on the Road! Press the buttons and beep, honk, vroom with 10 different vehicles! This big, bright board book is packed full of noisy fun with things that go! Busy toddlers won't be able to resist pressing the buttons and copying the familiar vehicle sounds that accompany the colorful photographs on every page. 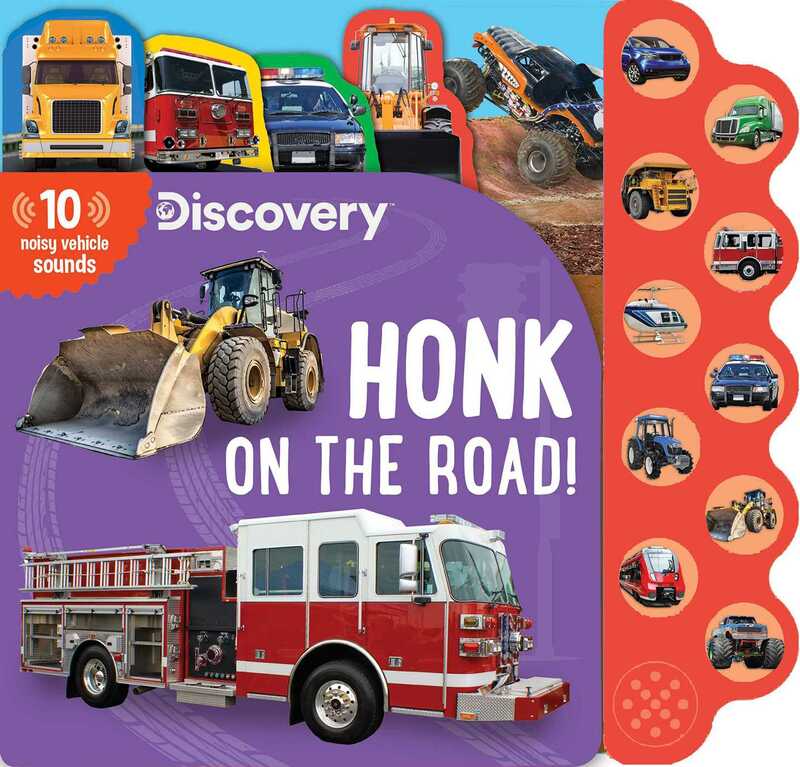 The sturdy picture tabs make it easy for young children to turn the pages to find their favorite vehicles, and simple descriptive text brings the noisy world to life. For nearly 20 years, Silver Dolphin Books has published award-winning activity, novelty, and educational nonfiction books for preschoolers to 12-year-olds. Our focus is to create books that engage and inspire children to learn more about the world around them while fostering a love of reading, exploration, and creative expression. From adorably illustrated board books for toddlers, to interactive play and building sets, to sound books made for story time, we develop innovative books that both enlighten and entertain. Book Cover Image (jpg): Discovery: Honk on the Road!